You mean cavities aren't just bad things that happen to good people? Prolonged acidic oral environment:caused by a lack of saliva or a sugary/acidic diet that favours acid-producing bacteria. Transmission: this infection is contagious! You can be infected by someone through exchange of saliva. Drilling and filling has been the traditional method of treating cavities, but it doesn't treat the infection, just the symptoms. Brushing and flossing has been the traditional method of prevention, but it does not change the pH (acidity) of the oral environment or treat the infection once it exists. 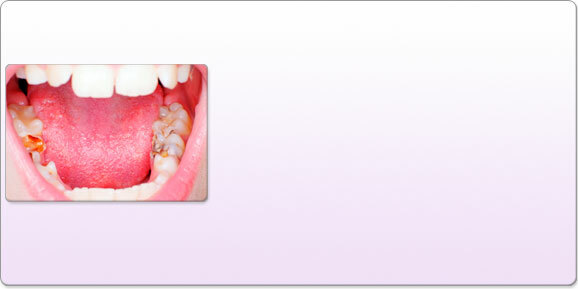 The caries infection is a very complex "biofilm" infection. There are currently 23 identified strains of bacteria and even some strains of yeast that all have the ability to metabolise and ferment the carbohydrates and sugars that we ingest and produce lactic, acetic, and formic acids as a waste product. These acids are responsible for eating away at the hard coating of the tooth, enamel, and causing demineralisation and eventual cavitation, holes, within the enamel. The research and understandings of this process are far reaching, offering new avenues for prevention and treatment. Long-gone are the days when cavities were just bad things that happened to good people. They are caused by an infection that can be identified and treated. Some of the challenges involved with treating the caries infection arise because it does encompass so many pathogens (organisms causing disease). Most infections we deal with are pathogen-specific, meaning there is one specific virus, bacteria, fungus, etc. that causes the infection. These diseases are, for the most part, easy to diagnose and treat, and respond well to antibiotics or can be prevented with vaccination. Examples might be strep throat, measles, ring worm, etc. However, biofilm infections not only encompass many pathogens, but the structure of the biofilm community can be very protective and tough to penetrate. So, treating the infection not only involves agents able to dissolve the biofilm community in order to access the bacteria, but also using treatment that is able to affect the whole range of pathogens present. These pathogens may also behave very differently when in the biofilm than they behave when studied in the laboratory on a petri dish. Biofilm bacteria may undergo as many as 84 genetic mutations within this complex community, helping them to survive and manipulate their environments in atypical ways. The other research emerging in treating this infection is with regard to pH. The bacteria that live in the mouth, good and bad, survive in very specific pH ranges. The acid-producing type thrive at acidic pH levels, and die in an alkaline environment, while the healthy bacteria thrive in a neutral to slightly alkaline environment and die at acidic pH levels. So, another way we can work to reverse the infection is by using alkaline solutions to neutralise the oral pH.